Best wishes to Abby this weekend at the Indiana State Fair Queen Pageant! 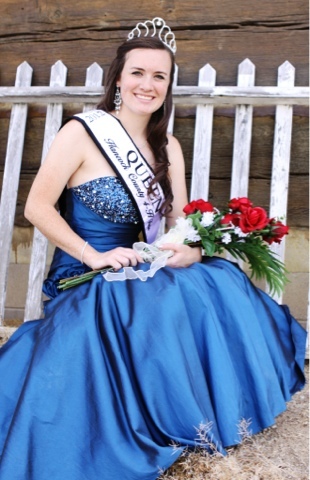 She will represent Hancock County on Sunday at noon at the Pepsi Coliseum. 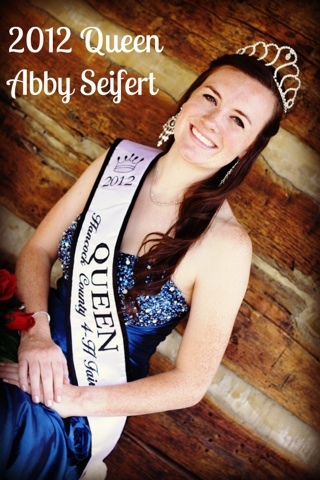 Please come out and cheer on Abby! Make us proud Miss Hancock County! 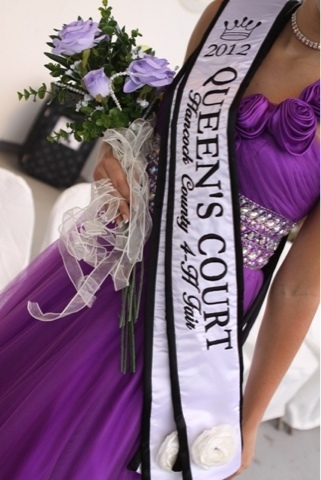 The morning after the pageant Dawn and Abby spent some time on our beautiful fairgrounds to capture some amazing photos. 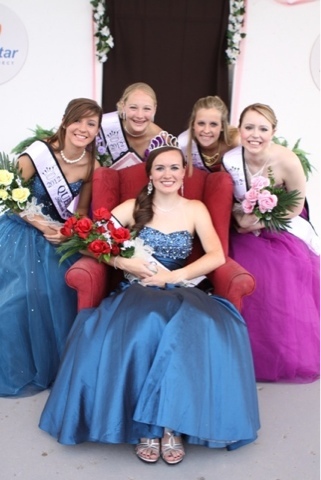 All photos courtesy of Dawn Wallace at The Photography Barn. 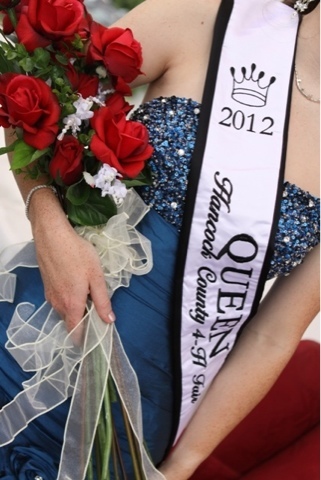 All photos courtesy of Dawn Wallace at The Photography Barn! 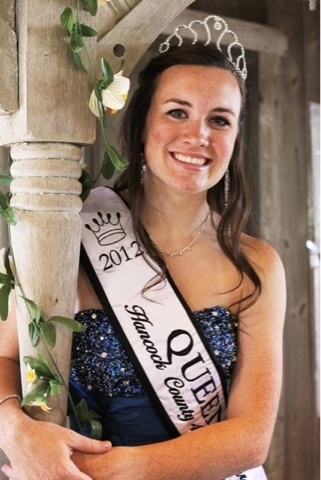 It has taken me days to go through the AMAZING photos taken by Dawn Wallace of The Photography Barn. 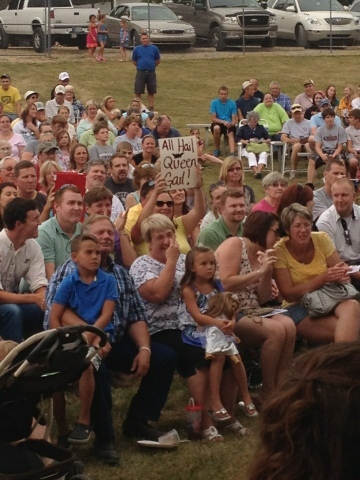 It was almost impossible to narrow them down to a few to share with you here at the Queen Blog. 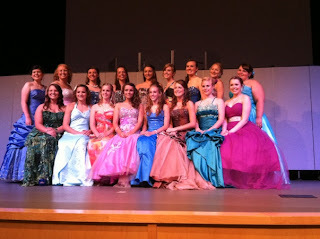 All 17 candidates for the pageant on judging day! 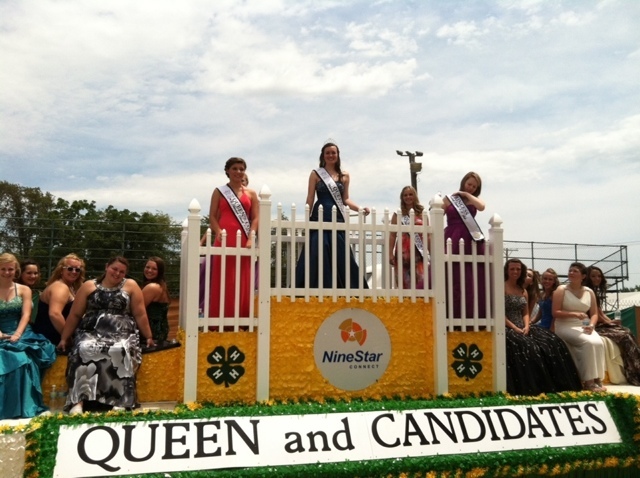 Parade and 1st day of Queen duties! 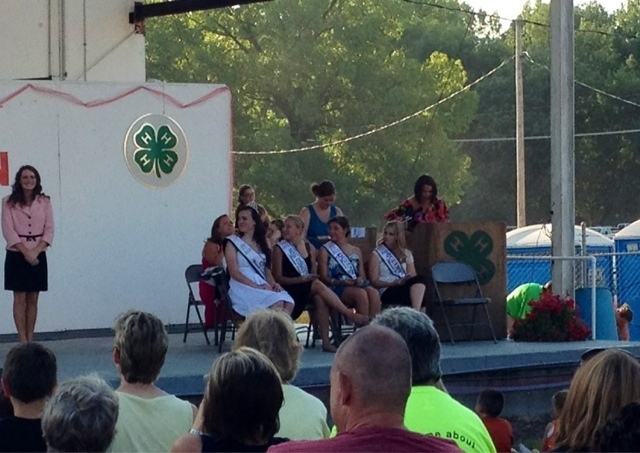 Today the ladies started off by attending and passing our ribbons at the rabbit show bright and early. 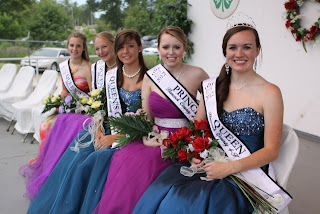 Then we had a lunch meeting to get the schedule ready for the rest of the week and everyone dressed and ready for the parade. Following the parade some ladies has to attend to work duties for Jr. 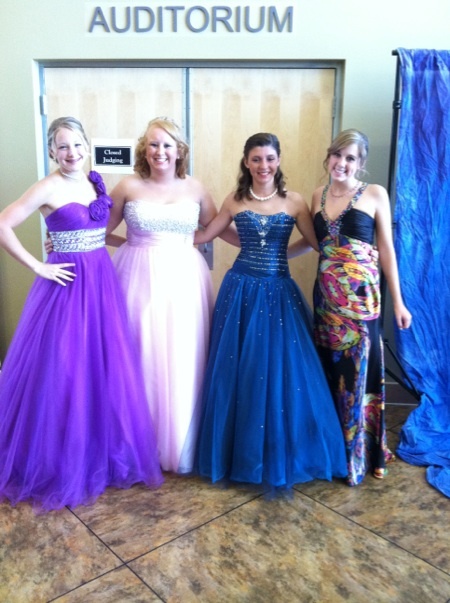 Leaders while the others took a small break for the nights festivities. For the evening they spent time at the Ninestar Booth in the Commercial Building, time at the llama costume show, fashion revue, and later a few were introduced at the tractor pull. 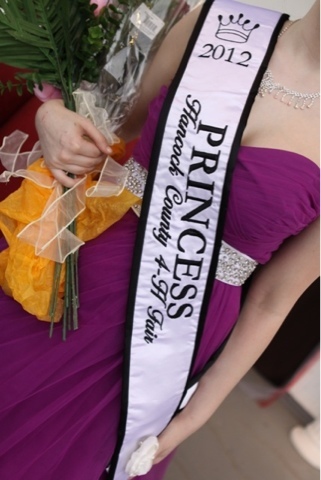 Below are a few photos from today's events! 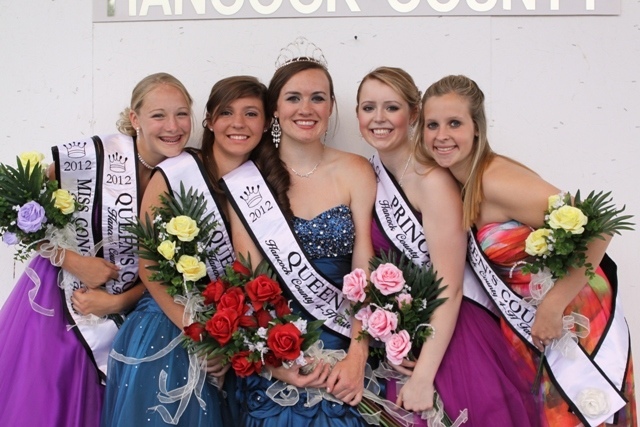 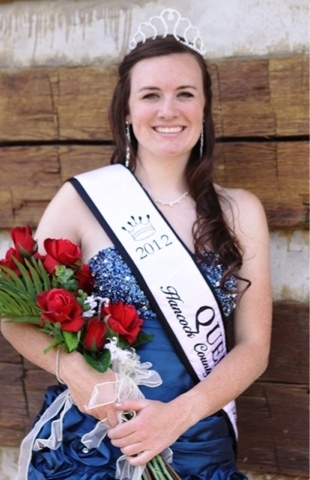 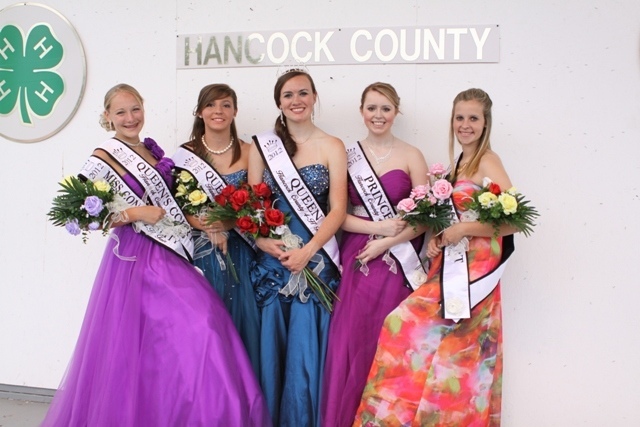 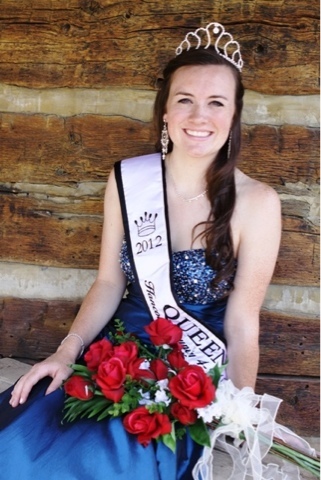 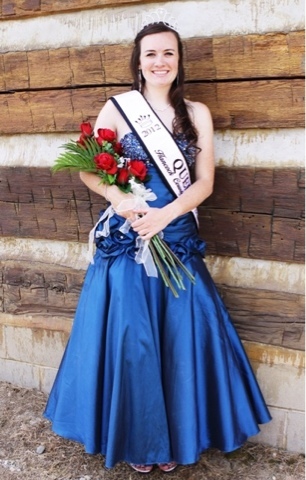 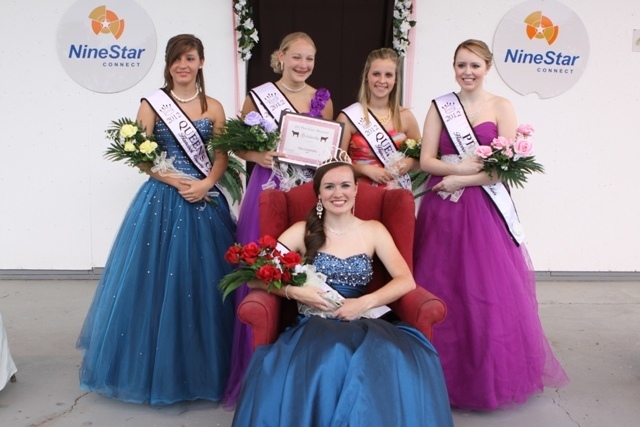 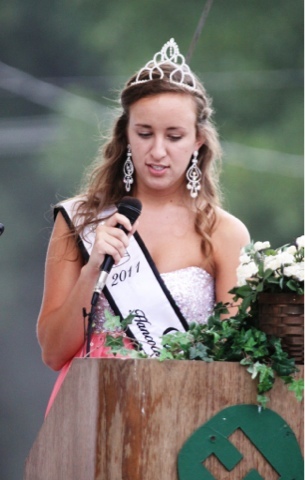 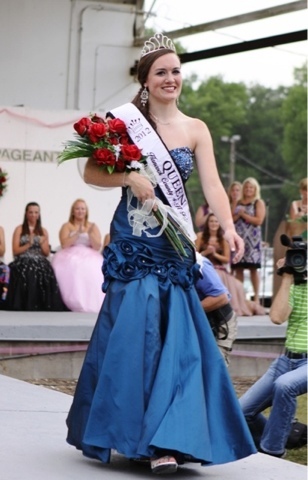 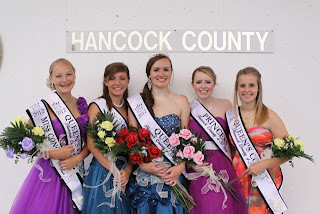 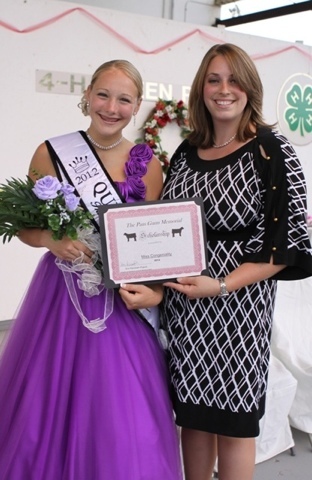 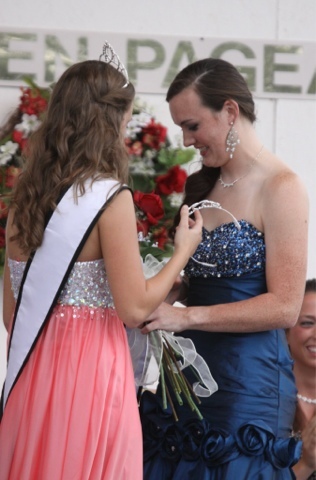 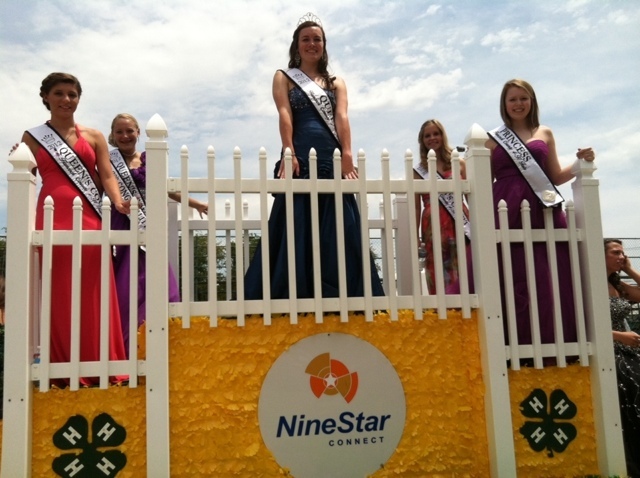 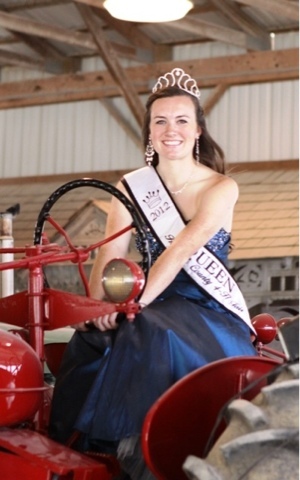 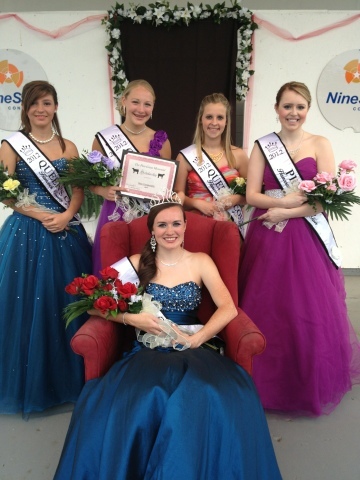 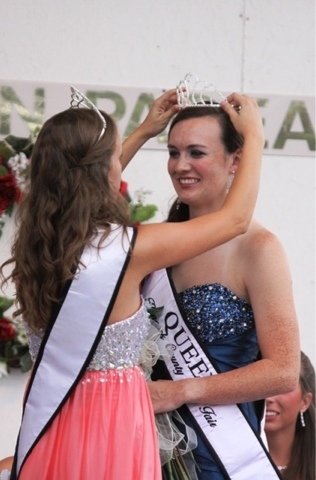 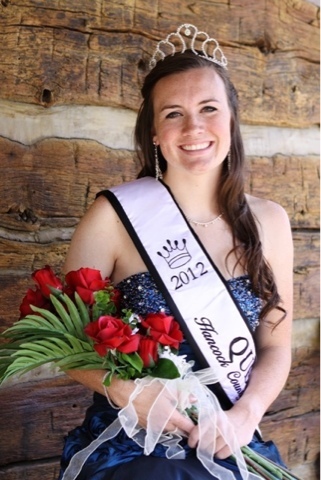 Abby Seifert is our 2012 Hancock County 4-H Fair Queen! 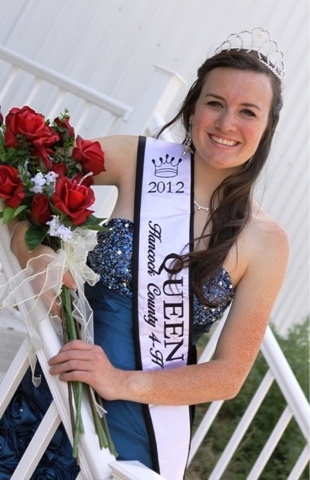 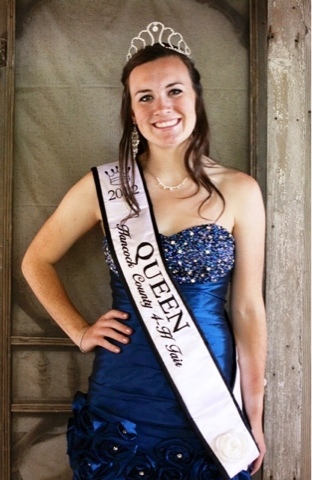 Abby will represent us well at the Indiana State Fair Queen Pageant on August 19th at noon in the Pepsi Coliseum. 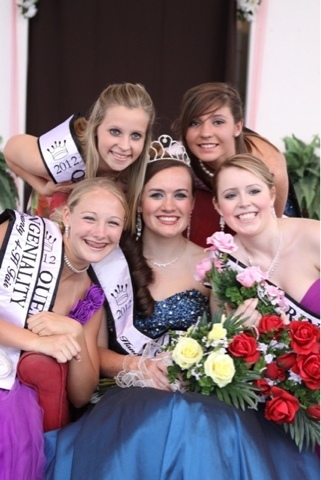 We look forward to a wonderful week with these lovely young ladies. 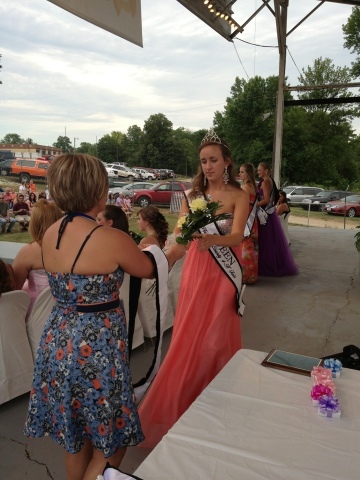 Please see below for some random photo shots throughout the evening of the pageant. 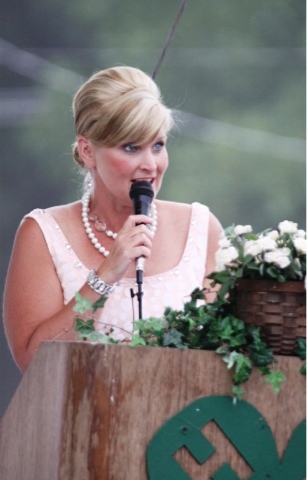 Dawn Wallace from The Photography Barn will have some wonderful professional photos to share with us soon! 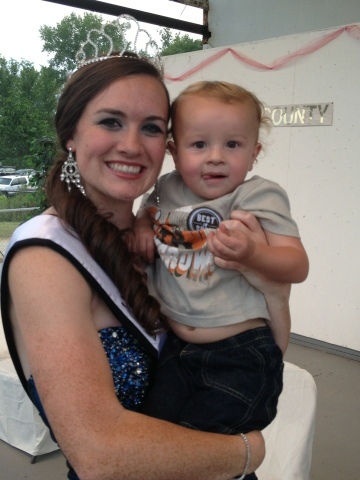 Abby and her little prince Jake! 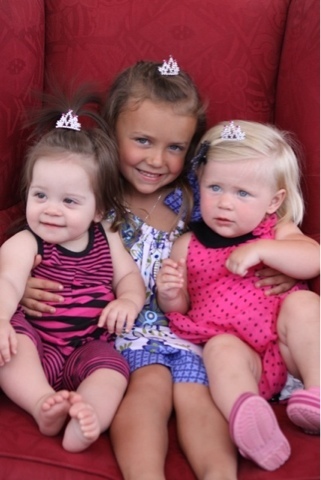 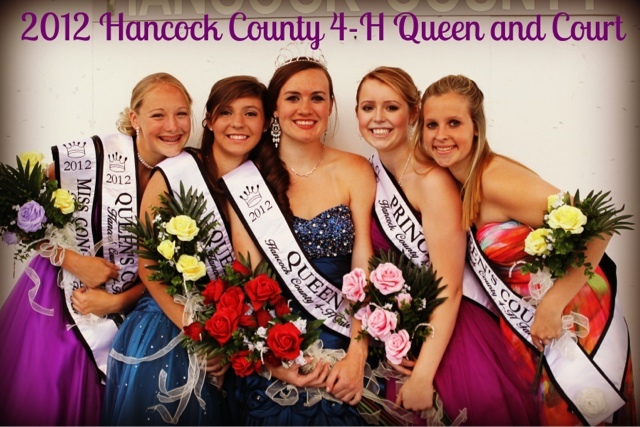 The 2012 Hancock County 4-H Fair Queen was decided yesterday by three wonderful judges.....but we must all wait until Saturday, June 23rd at 7:00 p.m. to find out who they decided should represent Hancock County at the Indiana State Fair. 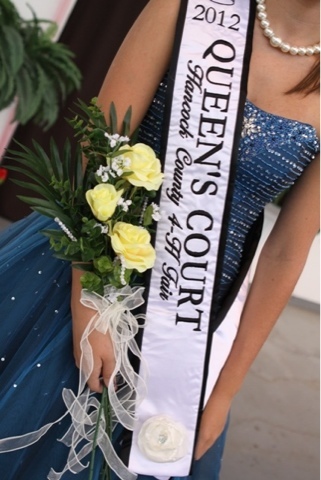 Our judging was held at Brandywine Community Church and the events began at 9:30 a.m. By 10:00 a.m. the interviews were ready to begin. 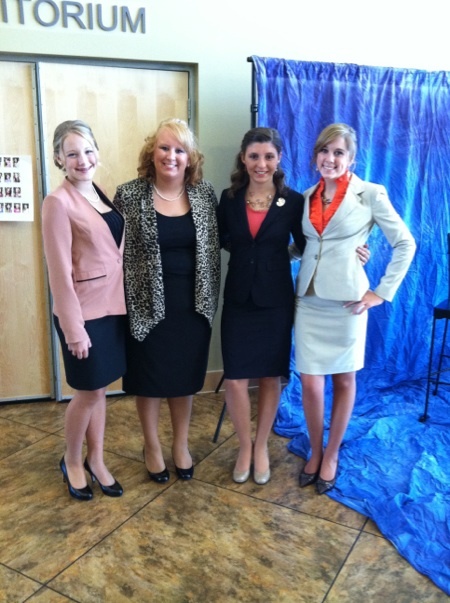 Each lady had 3-4 minutes to impress the judges during their interview. Once the interviews were over they modeled their professional wear on the stage. 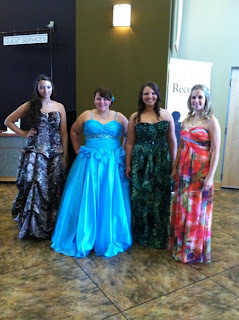 Then, the ladies modeled their formal wear. 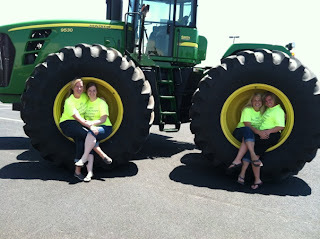 After judging was complete we had a little fun thanks to our wonderful photographer (Dawn Wallace with The Photography Barn) and Smith Implements. 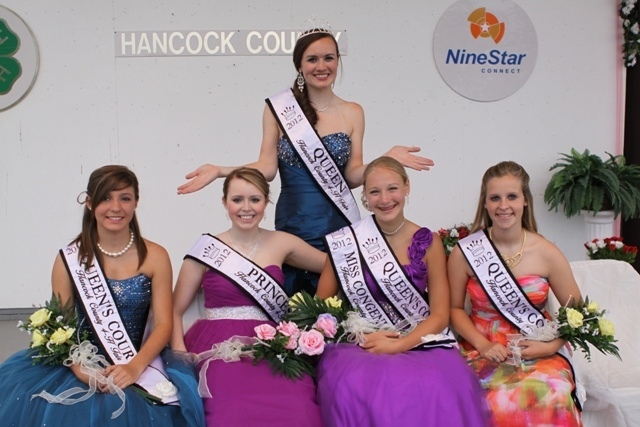 See some photos below from judging day! The ladies ready to model professional wear! 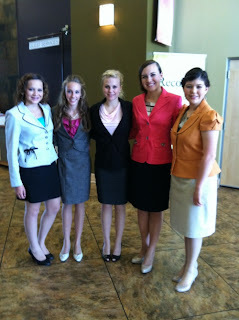 Another group ready to model professional wear. 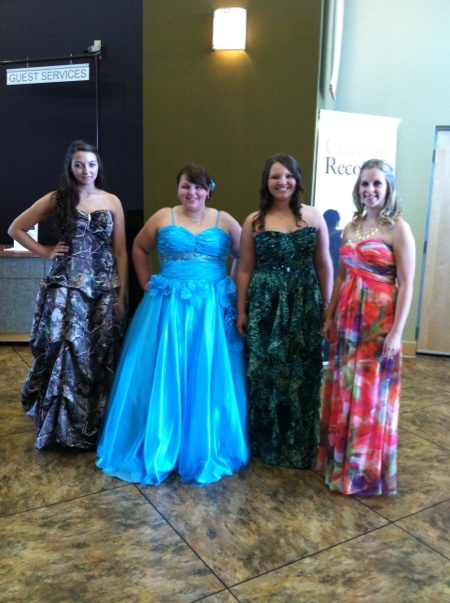 Getting ready to model formal wear. 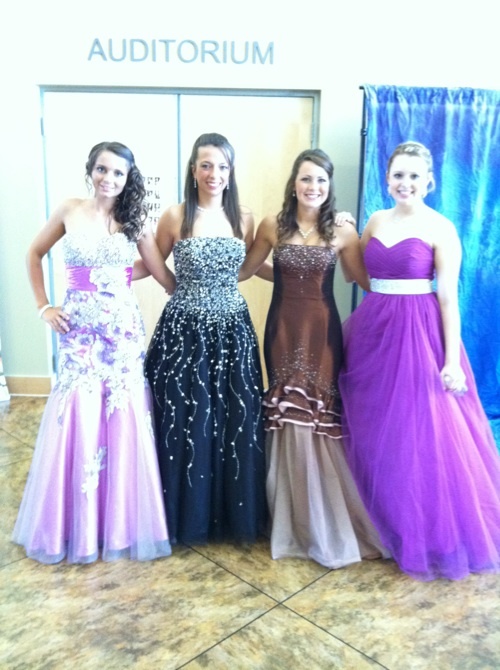 Another group ready to model formal wear. 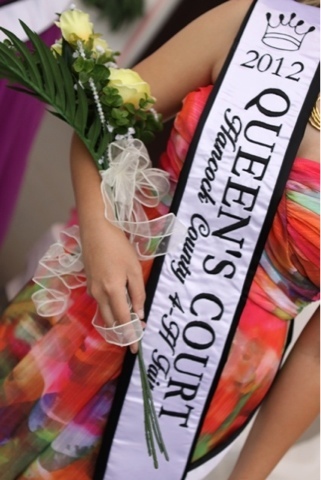 Judging complete and ready to take some photos for Miss Dawn! We are one lovey queen committee! Beautiful dresses and beautiful ladies! 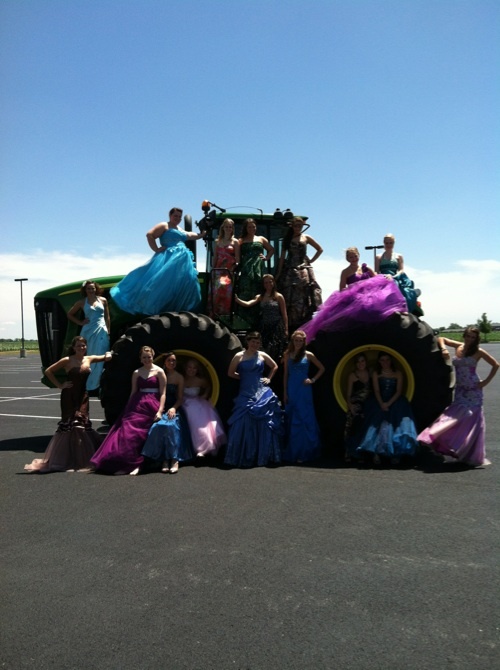 Thank you to Smith Implements for the beautiful backdrop!